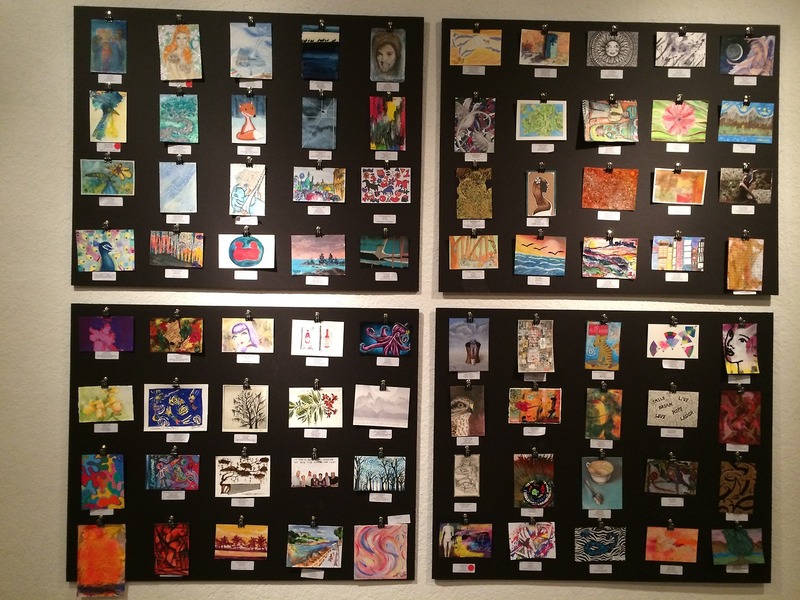 Here’s a look at some of the postcard art displayed at the #twitterartexhibit in Orlando. All of these works have been donated from artists around the world to benefit The Center for Contemporary Dance, Special Needs Students. Postcards are still available to purchase online until April 11th. The postcards have a set price of $35 plus $7 for shipping and 100% of donations go to the above named charity. My entry is posted on the bottom right, 4th one over at the top. You can view and purchase it here. You can also check out other amazing postcard art for purchase. See my previous post for further details. I’m very excited to introduce a new piece of art that will be part of an international group art exhibition in Orlando, FL this year. This show features postcard art from all over the world and will benefit The Center for Contemporary Dance, Special Needs Students. It runs from March 20 – April 11, 2014. You can check out the awesome entries online. As to the process, I wanted to reflect my connection to and affinity for Japanese culture. The fan shapes were cut from papers that I hand-dyed myself using liquid watercolor and a Japanese folding technique. Then I created a collage with the fans and added ink as a final touch. Voila! The Japanese Fan Dance has been around for centuries. Although the fans originally represented high social status, they now symbolize friendship and are often exchanged as signs of good will and respect for one another. Japanese fans are considered highly symbolic, with the handle of the fan representing birth and the blades symbolizing many possible paths in life. What path will you take in life? Will you hide behind your fan? Consider letting your unique self show and maybe even dance!